Ice Delivery | Odessa, TX - HAIL ICE CO. Whether you're hosting a concert, trade show, or corporate event, you need water and ice to keep your attendees hydrated and happy. Many businesses also require bags of ice for food and beverage storage and other purposes. Whatever the reason, you can rest assured HAIL ICE CO. will deliver your water and ice in record time. We offer bottled water, snow cone blocks, and more, right to your doorstep. Request a free same-day consultation for ice delivery services. BYOB Water Store is now HAIL ICE CO. Together, our staff has served the Permian Basin for more than 10 years. We are locally owned and operated in Odessa, Texas, working closely with more than 200 local companies and businesses. 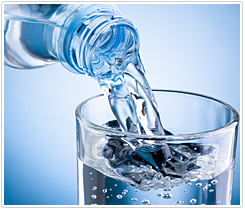 As a leading provider of water and ice delivery, we take pride in offering the best service to our customers. We're dedicated to serving your needs each and every day. Whether your project is large or small, our team of experts can provide the resources and solutions you need to get the job done right. We recognize how important water and ice are to your business and strive to make your deliveries on time, every time. Give us a call for more information. Contact us for your next delivery.